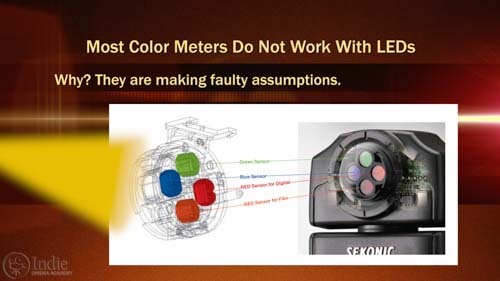 Summary: Did you know that your old color meter no longer works with today’s LED lights? 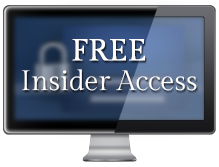 In this video, Ryan shows you why and what to do about it. 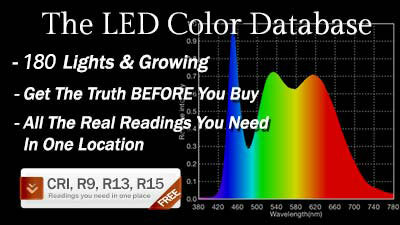 Do you use a color meter to check the color spectrum of your lights? Do you use it to on your LEDs? If so your meter is most likely giving you bad information. In this video I’ll show you why your color meter might need an upgrade. If you’re not familiar with color meters, they are a handy tool to not only match the color temperature of different light sources, but to also help you shape the mood and look of your project through subtle changes in color. 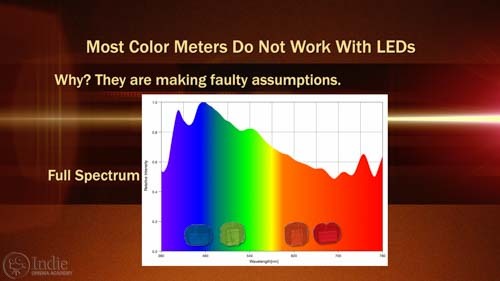 Unfortunately, most color meters can’t be trusted with today’s LED technology. 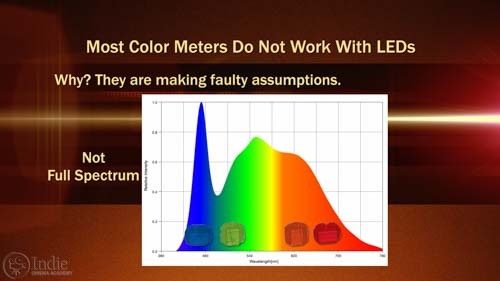 The root of the problem is assumptions many color meters make when sampling light. Originally color meters were made using three sensors each responding to different wavelengths of light: red, green, and blue. When digital cameras hit the market, a fourth sensor was added: an additional red sensor that sees the world more like digital cameras do. When these older color meters take a reading, the meter samples specific red, blue, and green wavelengths, does some math, then figures out the color temperature, or CCT, of the light–how blue or orange it is. At the same time it figures out the light balance, or LB, of the light–which is how magenta or green the light is. The fundamental flaw in these older meters is they assume your light source is a full spectrum light. A full spectrum or broad spectrum light is one that fills the complete visible spectrum of wavelengths, from violet at about 380nm to red at about 740nm. But LEDs and fluorescent lights are not full spectrum. (And as we pointed out with our LED test, they are also all over the map when it comes to color temperature and light balance.) LEDs and fluorescent lights actually have gaps and spikes, meaning they either lack or have too much of certain wavelengths of light. This obviously affects how these light sources render color. If a color meter doesn’t take into account these gaps and spikes, it can’t tell you how to properly correct for it. Fortunately, you’re not stuck; there is a solution. 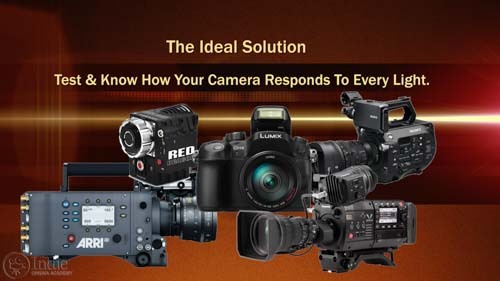 The ideal solution is to know how your camera responds to every type of light. But if you’re like me, you don’t have time to test every camera with every LED out there. So a practical way to solve this is to upgrade your meter to something that reads the entire spectrum and doesn’t make the assumptions the meters of old make. Right now there are at least three great color meters and spectrometers that can do this. 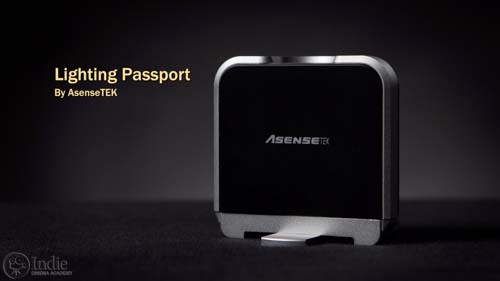 The first is the Lighting Passport made by AsenseTEK. What’s great about this little device is it can quickly and easily attach to your smartphone, either iOS or Android. It takes highly accurate color readings that are instantly shareable to anyone else, even if they don’t have a Lighting Passport meter of their own. Another great feature of this meter is that, since the data is app based, the developers are continually adding to the readings this meter can give. It is the only meter I know of right now that will give me the CRI, Extended CRI, TCLI, and CQS readings as well as a myriad of other readings. Another great color meter is the Sekonic C-700 . 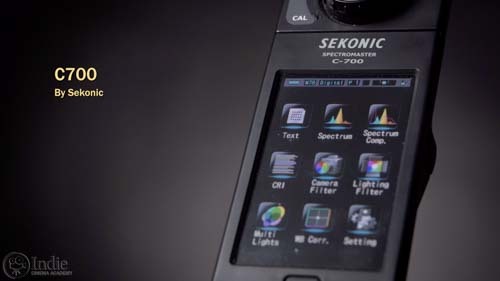 Like the Lighting Passport, Sekonic’s C-700 will give the CRI, the Extended CRI, and individual spectrum information, something that is crucial when measuring LEDs lights. But what really sets this meter apart is how it was designed with filmmakers in mind. When taking a reading, you can set a target color and have the meter tell you what camera filtration you should use, or what gels you should put on the lights, even down to the specific Rosco or Lee gel number . This means you’re never left guessing what gel you need to put on your lamp. The MK350 by UPRTek is third great spectrometer out on the market. In addition to being designed to overcome problems with LEDs–complete with Extended CRI values and other color readings–it also has the ability to save data to an SD card and be controlled wirelessly by your smart device. It is sad to say that your old trusty color meter no longer works in today’s LED world. If you’re still relying on it, well, it’s time to upgrade to a tool that delivers accurate information so you can make informed decisions about the lights you’re using on set. So what has your color meter experience been like? Have you already upgraded your meter now that we’re using more LEDs on our sets? How have you been dealing with balancing colors while lighting with LEDs? I want to know, so leave a comment below. And if you have any questions, ask away, and I’ll be sure to respond. Awesome! I have been very curious about color meters. Thanks for your detailed explanations as always! There’s another iOS color meter out there. I just got it, it’s called the Cine Meter II. It’s made to work with the Luxi attachment. The app was originally a light meter, but with the capabilities of iOS 8, the developer, Adam Wit, was able to add color metering to it. The light metering seemed very good in some quick tests against my L-758cine, but I haven’t tried to push it to the limits yet. Seems like it works well and it makes gel recommendations too. For about $60, it seems like an amazing deal. I’m not as versed as you in the cinematic arts, so I don’t know exactly what I’m looking for. I have pretty much zero experience in color metering. I was wondering if you have any thoughts or maybe heard something? The developer has a chart of test comparisons against actual color meters. The test looks promising. It compares it the tests against the C700 and Lighting passport amongst others. Is it too good to be true? Or am I missing something? Adam Wilt is a VERY smart guy. He, and Art Adams are two guys who I appreciate and admire. So I know the app that he helped put together is a solid app. I’m actually quite impressed how well that apps performs. I have that setup (Cinemeter II & Luxi) and I have been very impressed with it. For the money, it is a very good purchase. DISCLAIMER- this is just from my personal use, I haven’t done extensive testing yet. – Low light levels (ISO 800 or above). Just to be clear, this is not an issue of the app, but an issue of the camera on the iPhone. So if you are not evaluating a light- like an LED, and you are not working at really low light levels, then you can make this app work, and it is a great meter to get. 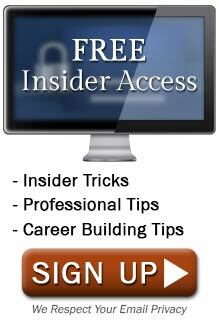 If you are wanting more precise information, like CRI, Extended CRI, CQS, TCLI, etc. or you are working with low light levels, then you’ll want a “real” meter. It helps very much! Yo da man! Ryan, would you recommend renting any one of those meters rather than actually buying one? I guess, this is just a question about proper investing basically 🙂 I know, it’s best to own one for yourself, but over here in Europe most of the systems do tend to become a little pricey. The meters are pricey for sure. If you can find a meter to rent, then yes, I would recommend renting one rather than actually buying one. Especially when you are just starting out and funds are tight. Later on, when you have the cash flow to support the purchase you should buy one. 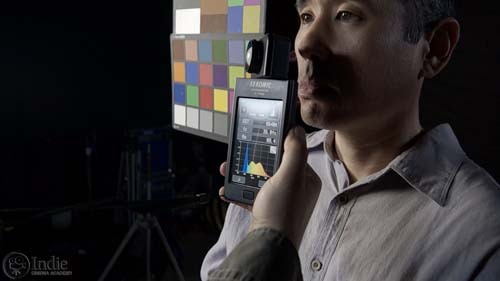 Another affordable solution, if you can’t find a meter to rent and you have an iPhone, would be to use the CineMeter II app for on set readings, and use our LED Color Database to evaluate the color quality of an LED before you buy or rent it. When you are on set, you are stuck with the lights you have- so you could use the CineMeter II to at least get in the ball park for figuring out how to balance them and where they are in the color spectrum. That should give you a decent starting place until you are able to get a hold of a dedicated meter that will give you more granular information. It did help a lot, thanks Ryan for your tipps! I tested and used various apps that claimed to be color meter apps. I even found one for Android devices (entitled ‘Color Meter’). I have used a wide variety of colour meters but when it comes to a non continuous radiator light source I go with the vector scope readings from a DSC Labs chroma dumonde chart . 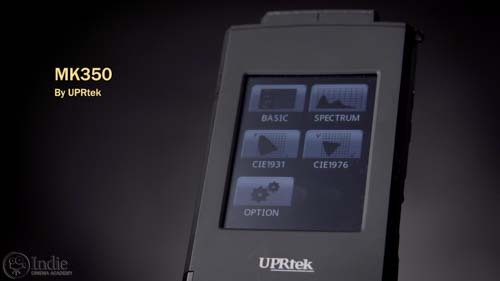 I look at the spectral power distribution with the UPTek and I also have the Cinemeter 2 and I worked with the C 700. However since I can look at the vectorscope and see where I need to shift my source to match the dominant source I balanced to it makes things easier. I have not found any meter as reliable or as accurate. I know manufacturers are building vectorscopes into cameras now, which is a benefit. The Sekonic C700 is a step in the right direction for meters but it is not there yet in my opinion. Thanks for adding your expertise to the discussion, Brad! We love the DSC Labs One Shot Chart, and have bought three so far. The ChromaDuMonde also looks very useful, but also much more expensive than the OneShot. Different tool for a different job, though, so makes complete sense why you chose the ChromaDuMonde. I appreciate your input. What do you find lacking with the C700? I’m currious to know. There are some things that I see that could be improved, like the touch screen for example, but that’s more of a technical use thing, rather then a reading thing. I’ve found it quicker and more effecient to take a reading with my color meter, and then tell the crew what gel we need for a light to get it where I need it to be. What are your thoughts on those matters? My approach for smaller shoots is to do testing before the shoot on a separate day to see how the camera and the lights interact. And then on the day of the shoot, use my color meter to make any adjustments as needed. That way I can get the best of both worlds. Thanks for the review and link to your LED test database. Very useful information! Is there any truth to this? Is this still a good color meter to buy? Thanks! I too have seen reviews with similar information on the C700. I am also interested in getting this product, but waiting to see what happens. Ryan, I’d really like to know your thoughts about the firmware issues. This review was on the C700R on B&H just a couple of ago: The meter can’t read green or magenta at all. After my defective meter was replaced with one that had the same problem, a call to Sekonic service in New York on 3/15/16 said that it is a known issue and they’re waiting for a fix from Sekonic Japan. 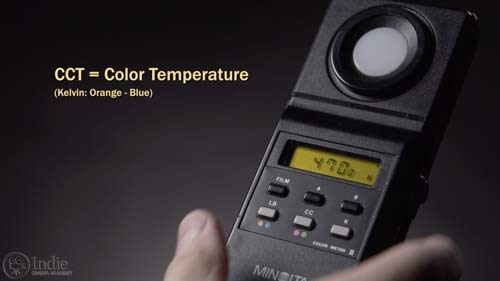 Meanwhile it’s a very expensive color temperature meter / paperweight. Sorry for the delayed response, but it took some time to figure out an answer since we’ve actually never had the problems you mentioned. We tend to use our C700 to measure the quality of light and adjust the orange/blue values. We never have needed to alter the green/magenta tint of our lights. First off, the color meter does in fact measure green and magenta. 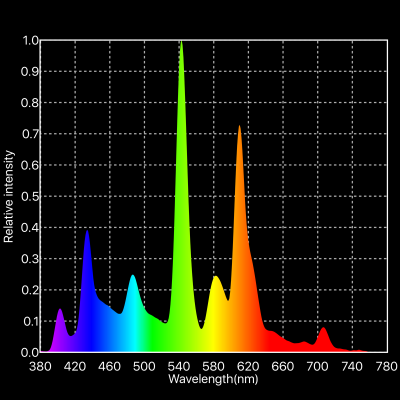 All of the spectral curves and CRI values on our LED database were tested with the C700, and all show green and magenta correctly both in the spectral curve and the CRI histogram. This is why I was a bit confused that someone left a comment suggesting it didn’t. Second, after testing a light, the color meter has an option to view the orange/blue and green/magenta tints on a two-axis graph. This info can be a bit misleading since it tells you how it differs from what you want. So if you say you want 5000K CCT light, and it is a 5500K light, the graph will lean heavily to the orange side saying you need to add some amount of CTO to you 5500K light to make it 5000K. Same along the green/magenta axis. Third, the light meter tells you what gels to put on your lights to correct them. I just tested this by putting various amounts of half minus green over the meter in full sunlight (meaning the bare light source has no tint). The meter’s corrections were in the right direction, but not enough. For example, when I put two layers of half minus green over the meter, the meter’s recommendation was to put 1/8 plus green on the light, which is incorrect. So the meter does measure green and magenta, the problem is that you can’t depend on it to tell you what gels to use along the green/magenta axis to correct it. This is most likely within the programming for what a gel will do to correct the light and not within the color sampling software. C-700 SpectroMaster Spectrometer for Photo/Video/Cine. Hopefully this is simply a firmware issue. Thanks so much for your response, Tim! Again, great info as always. I spoke with Sekonic at NAB 2016, and they said they fixed the firmware on the C700 so that it now suggests the correct plus-green and minus-green gels. They gave me the new firmware (which is still in beta), and my tests show that everything works fine now. They said they should be done testing the beta within a month, and will release it at that time. That’s great news! Thanks for the information! Thanks for the update, Tim. I rented the C700R for the weekend and tested every light source I could find. I think it’s a great tool. I also used it to calibrate my Cine Meter II iPhone app. Glad to see Sekonic is able to improve the device with firmware. I’m not a film maker but a pro photographer for over 30 years, based in the UK, and I often work with mixed light sources and balance my strobes to them. I’ve been using Minolta colour meters for the major part of my career but my IIIF has never been as accurate with digital as film and I’ve worked round it’s limitations. It recently got damaged and I’ve just replaced it with a Sekonic C-700 hoping that it would be more accurate. (it has all the latest firmware/software updates in place and was brand new stock from Sekonic to the UK) It’s certainly better when it comes to CT measurement but not with Green/Magenta. I’ve been testing it with flourescent and LED sources against a xrite colorchecker passpport and in some cases it’s been telling me to add more green when the source is already too green. In one case it was giving me opposing readings on different scales, the light filter reading told me I needed to add more green but the camera filter reading told me I needed to use magenta to correct, the latter being right. It doesn’t seem to be consistent with the way it reads these light sources but more often than not it is telling me to add green to an already green light source. My Minolta IIIF gives me better readings on the Green Magent scale than the new Sekonic even if they are a little out. I’ve had the Sekonic about 10 days and It does give accurate CT readings and certainly gives all the CRI info for LEDs but doesn’t do what I bought it for hence I will be returning it to the dealers. My suggestion would be to update to the new firmware even though it should have the current firmware. Another thing that I do is that I carry around a Rosco Cinegel Swatchbook or a Lee swatchbook and place different swatches over my meter before testing the light. It is an extra step, but at least I’m not depending on the firmware this way. But in all of my most recent tests, the gel that the meter suggested always agreed with the one that I picked. What I’m looking at is the Duv measurement, which is how far off the blackbody curve (the CCT curve) the light is. This Duv value shows if it is too green or too magenta. When Duv is zero, then there should be no green or magenta tint. One big caveat with gelling lights to correct for green/magenta: it ALWAYS ruins CRI values. I was shocked at this! The reason is that the plus green and minus green gels can not be as specific as the wavelengths that are off, so the result is that other wavelengths that are fine are altered too. Thanks for the video! I’m an amateur. I make fitness videos for my wife’s business. I use CFLs in studio that I built. I recently purchased the Lumu Power (https://lu.mu). It doesn’t give all the color info like the others you mention. It does give me the “shift”. In my studio setup it says 1/10 green shift. What I don’t know is how to adjust for this in post now that I’ve done the videos. Do you have any suggestions? Thanks for the kudos! And welcome to the conversation and the industry! As you can see there is a MASSIVE green spike and orange spike. So getting rid of the green shift is tricky since gels affect regions not just specific wavelengths. If you were to film with these lights again, you could try adding a minus green gel, but I’m not sure if it would help much. Now that you’re doing color correction, you’ll want to go into your three-way color corrector and try to decrease the green in your shadows, mids, and highlights. 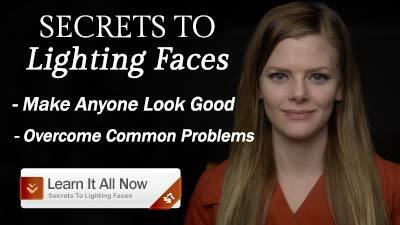 As long as all of your lights were CFLs, you should be able to improve your image. But if some were CFLs and some were tungsten and some was daylight coming in a window, it will be difficult to correct because removing green from one light will be adding magenta to the other lights.